The last thing you want to do when something is really urgent is fill out paperwork. 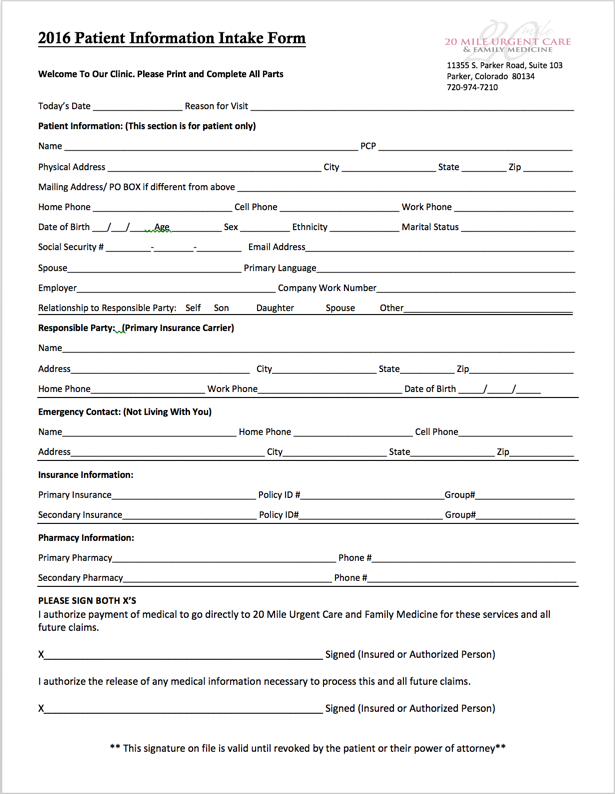 If you are new to our clinic, please download these forms and fill them out ahead of time. Please also remember to bring your insurance card and method of payment.